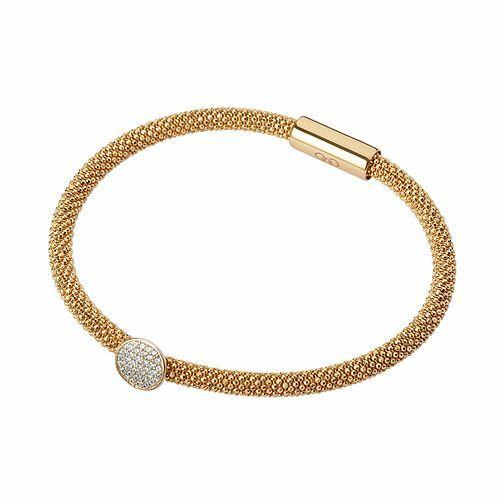 From the Star Dust collection this shimmering mesh bracelet is made to turn heads. Crafted in 18ct gold vermeil, this piece exudes glamour and style, and is a perfect foundational piece in your jewellery collection. Wear it stacked in contrasting hues and it's an instant evening statement look.